Dr. David Plank, Ph.D., M.D., received his medical degree from the University of Cincinnati College of Medicine, where he also received several awards for his medical research and innovations. He completed a comprehensive plastic surgery residency at one of the nation’s top rated training medical centers, the University of South Florida, Tampa. It was during this residency that he met and trained for two years with Dr. James Baker. They are now associates in private practice at The Mid Florida Institute of Plastic Surgery. 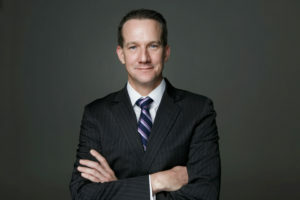 Dr. Plank is an Assistant Professor of Surgery at the University of Central Florida and the Director of their Plastic Surgery Clerkship, in which he teaches medical students and residents. Dr. Plank is also a Clinical Instructor for the Florida State University College of Medicine. Certified by the American Board of Plastic Surgery, Dr. Plank specializes in facial and full body cosmetic and reconstructive plastic surgery. He has contributed a chapter to a textbook and has had 16 peer-reviewed abstracts and articles published in the field of plastic surgery. Dr. David Plank strives to make each patient’s experience as unique and individual as they are. Asking the patient what their desired outcome is and what they hope can be achieved with surgery affords him the opportunity to provide every patient with the best possible and most natural looking results, specifically designed to enhance and improve upon their unique features. Dr. David Plank is married to his college sweetheart and has two young children. An outdoor enthusiast, he has run the Boston, Chicago and Cincinnati Marathons, enjoys ultramarathons, hiking, travel and spending time at the beach with his family.